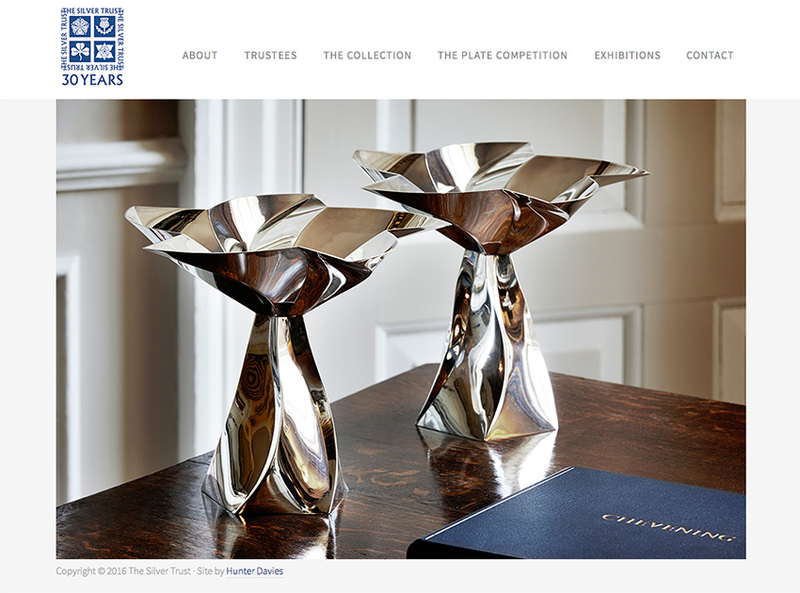 The Silver Trust approached us to design a bespoke website providing an online platform to showcase their current collection as well as a way to display recent competition pieces and promote British Silversmiths. The Silver Trust is a charity founded to promote the education and appreciation of the art, design and craft of British silver. Over the years the trust has created a national collection of contemporary British silver. The collection which is owned by the Trust was conceived and is designed to be used in official government residences, as well as represent and promote the talented silversmiths working throughout the United Kingdom. The Silver Trust collection can mostly be seen on show at Number 10 Downing Street. 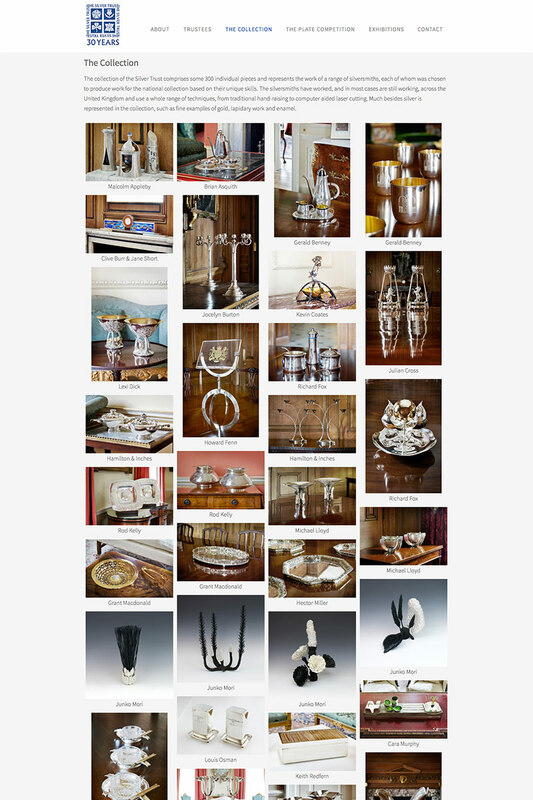 The website design was based upon providing maximum exposure to the collection pieces and was deliberately kept simple and clean to let the pieces and photographs take centre stage. The gallery functions were a key part of the build as well as allowing visitors to find out more about each silversmith and designer when viewing the pieces.